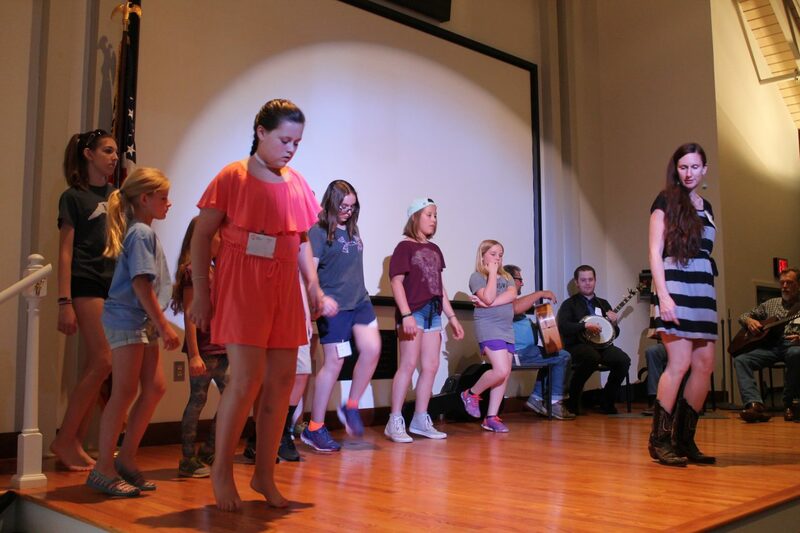 We are excited to present JAM & Family Day, an opportunity for kids to learn more about old time and bluegrass music by participating in workshops led by master teaching artists, check out with the Blue Ridge Music Center has to offer, meet JAM kids from other programs, and perform for family, friends and community members all on Saturday, May 18, 2019. 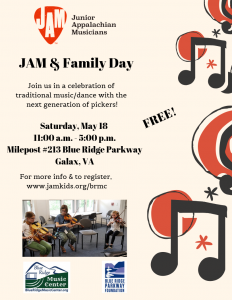 This event is free to all JAM kids and made possible through a community partnership with the Blue Ridge Parkway Foundation and National Park Service. Students need to register online by May 10 (or by calling the JAM office) in order to be eligible for the provided lunch and for first choice on workshop and activity preferences. Otherwise, on-site registration will be available from 10 a.m. – 11:00 a.m. on May 18.